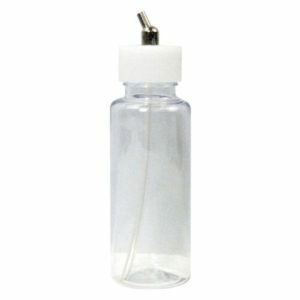 This product is specially designed for the beginning of model spraying. Simply press the tip of the marker on the flat surface (desktop) and let the paint inside the marker flow to the tip of the pen. Then insert the marker into the non-closed ring of the airbrush, and the designed non-closed ring has an automatic shrinking function, which can be applied to different specifications of the marker. The marker adjusts the nib of the nib and the tip of the airbrush in a straight line. 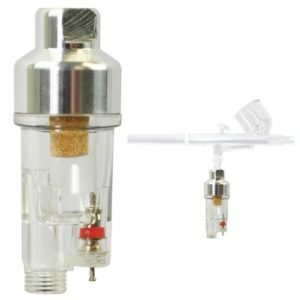 The airbrush is connected to the air pump by a pipe, and the pump can be easily sprayed by pressing the switch. If you need to change the color during use, just replace the marker with a different color. This airbrush does not require cleaning. 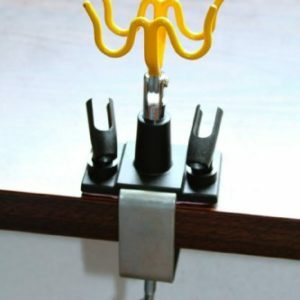 It is a spray tool for beginners who like models. And for those who are not familiar with the airbrush, as long as you have this product, you can easily master the spraying skills, you can easily play the model color, making the painting easier and more interesting. When purchasing a marker, you must choose a regular factory to produce. To select the marker that fits the diameter of the ring of the spray gun, the diameter of the ring can be adjusted to 13-14mm. 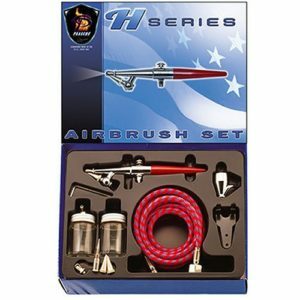 Simple type airbrush system which can enjoy spray painting simply by connecting air hose, air can to main body and inserting marker airbrush. 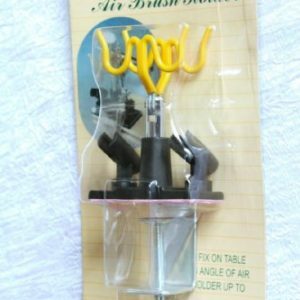 It is a simple airbrush system that can enjoy spray painting simply by connecting an air hose, air can to the main body and inserting a marker airbrush. Cleaning of the main part is also unnecessary, so even beginners can easily paint airbrushes. It is possible to enjoy techniques unique to airbrush, such as uniform and beautiful painting and gradation painting. You can paint just by inserting the marker, but if you use it after replacing the pen tip of the marker with the pen core dedicated to the enclosed airbrush, you can suppress spraying of the paint and more stable spraying becomes possible. When used as a replacement core (made of fiber) for exclusive use, the flow rate of the paint becomes stable, making it easier to paint cleaner.